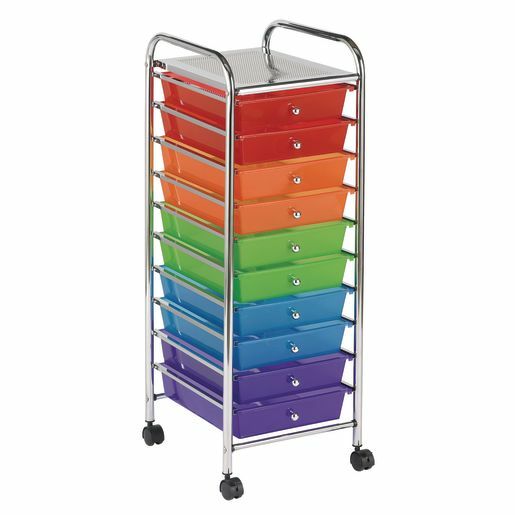 Multi-purpose, colorful organizers. Glides from place to place on 4 casters (2 locking). Tubular chrome frame and top shelf. Drawers have round pulls and measure 14 1/4"D x 9 1/2"W x 2 1/2"H. Easy to assemble, tools and instructions included 13 1/4"L x 15 1/2"W x 39"H. Comes with assorted colored trays.